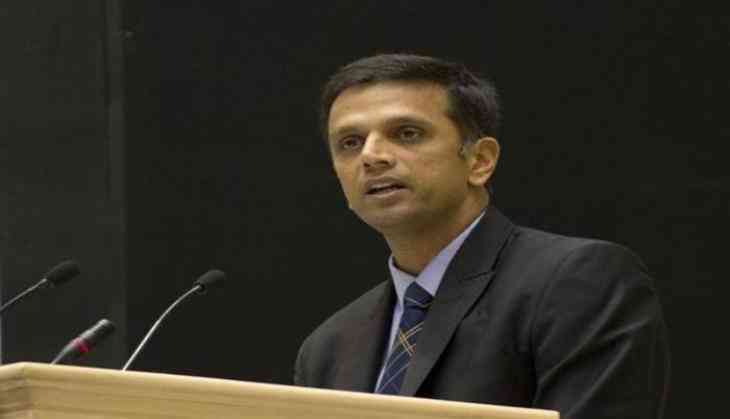 One of the most successful former cricketer and captain of Indian cricket team Rahul Dravid is a well-known name in India. Not just cricket fans but even those who do not follow cricket knows 'the wall' of Indian cricket. A popular photo is getting viral on the micro-blogging site Twitter in which Rahul Dravid is standing in a line. The photograph was shared 24 hours ago (When the story was being written ) and it has already gained more than 12,000 likes and the picture was re-tweeted more than 6000 times. A Twitter user 'South Canara' has shared this photograph on the Twitter and wrote, “That's Rahul Dravid in a queue with his kids at a science exibhition. That's Rahul Dravid in a queue with his kids at a science exibhition. Humble people are also most happy as they don't carry the burden of arrogance. Another Twitterati wrote on the picture 'A national treasure'. Even though it is not cleared when the photograph has been taken yet the picture has taken social media by storm.